NEW Scholl Concepts S20 Black Real 1-Step Compound is a visionary compound covering a wide range of applications for detailing weathered and scratched paint surfaces and leaving a hologram-free finish. Detailing of weathered and scratched paint surfaces has never been more simple! 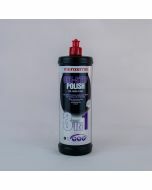 Due to continuous further improvements of Scholl Concepts iPT Powder Technology this polish has been developed to remove deep scratches and treats weathered surfaces quickly and effortlessly in only one step, regardless of the hardness of the clear coat system. Despite its tremendous cutting performance, the superior, mirror-like gloss of this 1-Step Detailing Compound is remarkable. Even holograms and swirl marks on dark paint surfaces can be polished out easily. 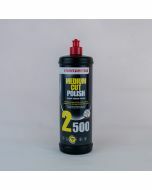 Suitable for use on almost all possible paints, S20 Black can be applied with rotary (1200-2000 RPM) or dual action (2000-10000 RPM) machine polishers. Depending on the specific clear-coat system, select from four S20 Black polishing pads the best suited for the appropriate surface and get an excellent finish in just one single step. See below for details. Which pads should I use with S20 Black Real 1-Step Compound? 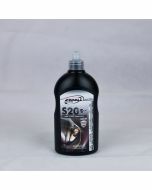 S20 Black can easily be applied using both rotary and orbital polishers. The four sturdy pads recommended for use with S20 Black are the new Navy Blue SpiderPad, Purple SpiderPad, NEO Honey SpiderPad and the Black Softouch Waffle Pad. Each is especially designed to produce optimum results while withstanding extreme stress generated by high-stroke, dual-action polishers. 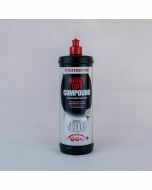 An innovative, highly heat-resistant polishing foam composition ensures constant and maximum cutting performance. The open structure of the highly tear-resistant filter foam surface of all four premium polishing pads ensure minimum material wear and increased air circulation during polishing. The calibrated Spider design increases the surface area of the polishing pad significantly. Compared with conventional pads, the SpiderPad can therefore absorb a greater quantity of polishing material. 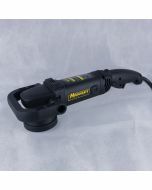 The result is enhanced cutting performance and greater yield of the abrasive grains. Navy Blue SpiderPads: Recommended for use with S20 Black for removing deep to moderate scratches on scratch-resistant paintwork. Purple SpiderPad: Recommended for use with S20 Black for removing deep to moderate scratches on conventional paintwork. 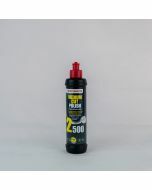 NEO Honey SpiderPad: Recommended for use with S20 Black for removing deep to moderate scratches on soft paintwork (Asia). Black Softouch Waffle Pad: Recommended for use with S20 Black for removing minor scratches and holograms on scratch resistant, conventional and soft (Asia) paintwork.